Relocating to a new house is stressful enough without having to worry about the logistics of an entire move. So when it comes to the heavy-lifting (literally), leave it to the professionals — professional movers, that is. Experienced Wyckoff, NJ moving companies consist of expert movers and packers who can efficiently pack, move and assemble your Wyckoff belongings to ensure that you get off to a good start in your new home! Superior Moving Systems Inc is a full-service long distance carrier that currently services pickups & deliveries in the lower 48 states. Our qualified movers will guide you thru your move to ensure a stress-free relocation. We offer standard moving services, full packing services, crating, insurance, and even auto transport. We have carrier status with the U.S. Department of Transportation and every move comes standard with two forms of insurance coverage. Give us call for no-cost, no obligation estimate! Whether you’re looking to move across the country or across the street, we are the moving company you can count on to transport your belongings safely and efficiently! 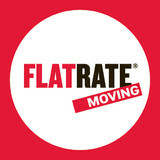 We are rated among one of the best local moving companies in New Jersey and New York. Our experience in the moving industry has taught us that nothing is more important than customer satisfaction, and we’ll work our hardest to ensure that you come away pleased following your move. We are a full service moving and storage company, serving New Jersey, New York, Connecticut, and Pennsylvania and delivering to all United States. The idea of moving can be nerve-wracking to many, let Bluebell Relocation Services help alleviate some of that stress by handling the process from start to finish. Impress Moving & Storage is a professional moving company that will take care of all your moving needs. We are committed to our customers’ satisfaction and take pride in providing quality services. You can take advantage of our FREE ON-SITE RELOCATION ESTIMATE with absolutely NO OBLIGATION. Our highly trained professional movers will make your moving experience pleasant and as hassle-free as possible. 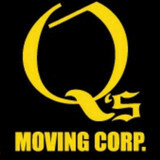 Q's Moving Corp. is a full service moving company that is family owned and operated spanning 3 generations of excellence. We are known throughout the Home Staging & Interior Design industry in New York. Q's Moving is highly experienced with loading, transporting, offloading, dis-assembly and re-assembly of furniture items to help make a faster and quicker transition for decorators and designers. We treat all customers like family. Q’s Moving provides exceptional services to guarantee 100% satisfaction with our experienced crews. We are a fully licensed and insured moving company, registered with the New York Department of Transportation- NYS DOT# 36961. We are ready to move you 24 hours per day, 7 days per week! We are a family owned business that specializes in providing above standard of satisfaction in the moving industry though focusing on each client and customer service while maintaining an affordable price for our clients. We are a rapidly growing moving company that nevertheless nourishes the family feel we offer our customers. Check out our reviews and see what other clients have to say about us. Established in 2014. I have been in the moving industry for the past 13 years and have worked and managed some of the largest and successful moving companies. I realized that I would like to deliver are able to bring a better service at an affordable price by focusing on hiring right and constantly training and monitoring both service and customer satisfaction. They say "you should always do what you have passion for and the rest will follow" ... well I love moving and all aspect of it and I could not imaging doing anything else. I love being a part of our customer's new start at their new home. With over 20 years experience in the industry and crews that are second to none we are the company to call when it comes time for your next move. We understand how stressful moving can be which is why it's our NUMBER 1 goal to provide you with a seamless and stress-free move GUARANTEED! Capital City Movers is a 5 star professional moving company that has all the logistical, packing, and storage capabilities to move your family anywhere regardless of the shape/size of your home. Local Moves / Long Distance Moves / Commercial Moves / Storage / International Moves / White Glove Services / Handyman / Painting / Home Cleaning / Electrical / IT Networking We look forward to the opportunity of servicing you! Moving of America was established to provide customers with an uncompromised service in an unparalleled setting. Our growth over the intervening years is due to the commitment that every member of our team has made to meet that high standard with every customer we are privileged to serve. Every move has distinct needs and requirements and our approach is designed to address your specific needs. Our consolation start with an assessment of the requirements of your move and end with a presentation of all the available options at your disposal - on the phone or at your place. We have been known to house some of the most knowledgeable and experienced moving advisors in the moving industry, ready to address all of your inquiries or concerns. We understand the stressful conditions that inevitably come with a move. Therefore, we are committed in alleviating these situations. We have trained our moving advisors to ensure each move to be an exciting and rewarding experience as possible. 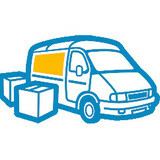 Traditional Express Van Lines is a Full Service Long Distance Moving Company based in New Jersey. Our Friendly Professional Movers have successfully moved thousands of customers across the USA, providing a great customer experience. We provide residential moving, commercial moving, corporate relocation, last minute moving, elite moving, white glove moving, door-to-door moving and more. Our experienced team of moving professionals is here to make your move easy and hassle-free! TikTok Moving & Storage offers affordable residential moving service in New York to ensure a stress free transition. Having extensive years of experience, we specialize in handling apartment moving, house moving, estate moving and in-house moving that proves to be time and money saving. As per your requirement and budget, we are capable of planning a smooth, fast and convenient residential moving in New York. Call us today at 844-484-5865 to get a free moving quote! We are a family owned and operated moving company. We specialize in long distance cross country moves. We provide our customers with the highest quality of service and attention to details. TDY Moving and Storage, Inc.
We are Mike and Edward, owners of TDY Moving & Storage. We have been in the moving business since the late 80's. Mike started out with some friends and a van slowly working his way up to running a full professional moving and storage company. Edward joined by working on the truck, driving, sales, then becoming a partner. So, both Mike and Edward know each and every detail of the moving and storage business. Most of TDY's Moving & Storage team has been with us from the start. We're a family owned moving company with "NYC values". We pride ourselves in being like one big family and that is what makes us different from other NYC moving companies. TDY Moving & Storage is helping hundreds of clients per month move because when you hire us you're hiring a local mover that will treat you like family. To us you are not just another number and our priority is ensure you are satisfied with your NYC move. We may not be cheap NYC movers but we are the best movers in NYC! We are NY’s oremier green moving company offering VIP level service at mid range price. Our reuable Gotham Boxes saved 20,000 trees last year instead of using cardboard boxes. Hedley's Inc freight forwarding management team has been carefully selected from the world's leading fine art shippers and packers, chosen for their wealth of experience and knowledge of their subject. Hedley's Inc freight forwarding teams are not only experts in the handling and transportation of fragile and valuable items they are also trained in exhibition and showroom installations with the special ability to handle any kind of assignment, from contemporary furniture to household removals or interior design projects. From a single item to a whole exhibition or interior design project, Hedley's Inc. is able to provide transportation, storage and shipping by land, sea or air and deal with all the necessary insurance, tax and administrative details. Lift NYC Movers is a family owned and operated business whose principal owners have a combined 30 years of experience in the moving industry. We pride ourselves on exceptional service at affordable rates. Our research indicates that our clients prefer our small business model as opposed to the big conglomerate structure of other moving companies. We are extremely prideful of our LIFT employees and we strive to offer them a work environment that is more than just a job. Our company philosophy of hard, honest work permeates our entire Lift team, and will no doubt leave you with an unforgettable moving experience.